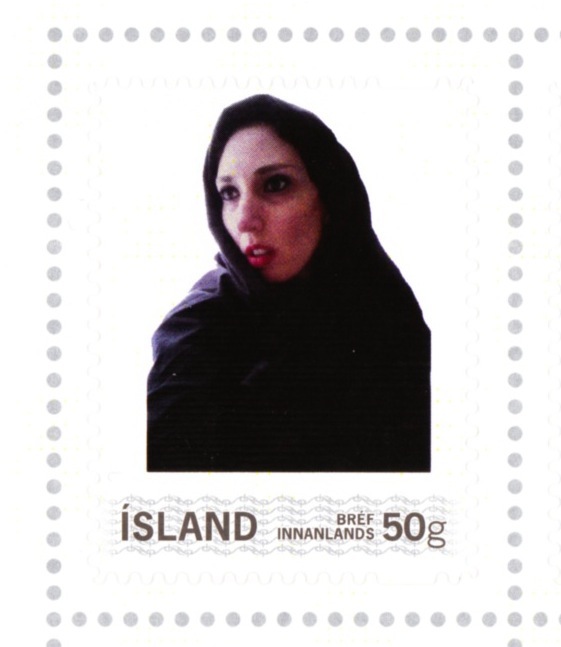 The Perfect Arab Artist, Two original series of personalized national and international postage stamps: Australia, France, Belgium, Canada, Finland, USA, Holland, Luxembourg, Iceland, New-Zealand, China, Taïwan, 2014. This project is a critical position regarding what is expected of an Arab artist, as well as the image that Arab artists circulate of themselves in order to answer to an existing demand in the art market. Since the emergence of the art world in the Gulf, the Arab artistic scene has gained importance. Hyper-mediatized, the artists bene ted from the over-mediatization of Arab art in order to be known and gain a place in the international art market. 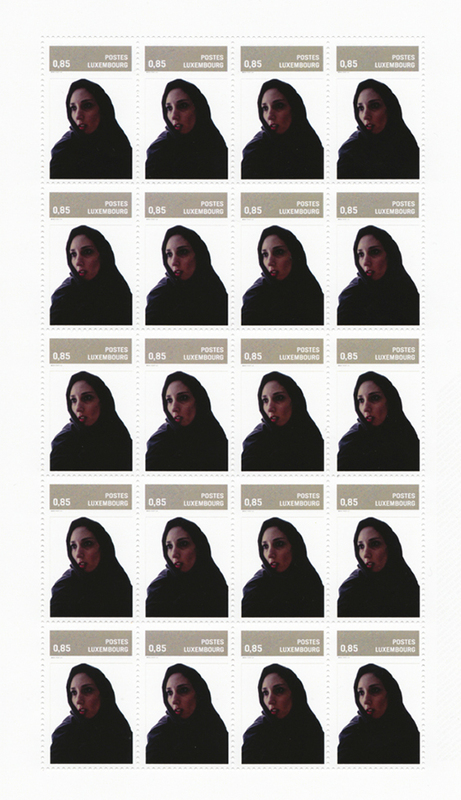 Fattouh’s printed stamps exchanged the national icon of their respective countries to that of (her) veiled face. Just like the French Marianne, the veiled woman became the national icon of a country that seeks to ban the veil”.